Mixed Martial Arts (MMA) is one of the most popularly-followed sports in the US. More specifically, the Ultimate Fighting Championship (UFC). Betting on the UFC and MMA is also extremely popular. 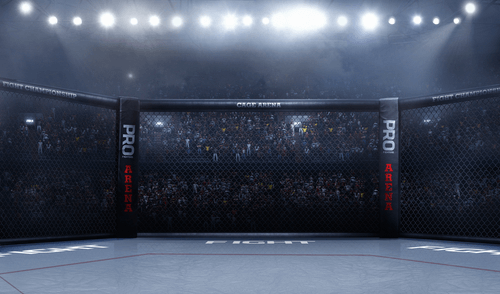 So how can Americans get in on MMA Betting? Well, all you need is to read this guide and understand how to bet. All of our top listed sites offer MMA sports betting, so keep your bankroll ready. We’ve also ensured that they are licensed and regulated for US bettors. To starting betting on the UFC/MMA, you’ll need to understand the weight classes and matches. In the UFC particularly, there are certain major events to follow. For example, Fight Night 142, UFC 231, etc. these matches are held at different arenas across America. Which means that attending the fights can be costly. Luckily, there’s always live coverage on local networks and streaming sites for these title fights. Once you’re familiar with these classes, we recommend checking the fighting styles of each competitor. Understanding their style helps gamblers to make an informed bet on this combat sport. However, always be aware of insider information and avoid it. This is illegal to share and profit on. Most sportsbooks offer odds in three standard forms. At American bookies, you’ll most likely see money line bets. Still, there are a few international bookmakers who offer European and British formats. So, we’ve listed them with some examples for our US bettors. Moneyline – these are based on $100 wagers, and usually look like this: +125, -100, etc. So, if you bet on McGregor to win on -250, you’d need to calculate it with this formula: $100 (100/250) x100 = $40. For a +250 wager, use this (wager x odds)/100. Fractional – most UK bookies work in fractions, for example 1/6. This would be your wager multiplied by the (left number by the right number). Or 200(1/6) = $33.33.